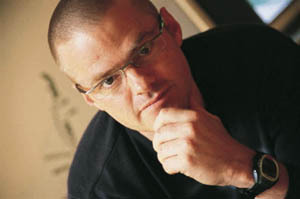 Heston Blumenthal and Gordon Ramsay have once again topped the Which? Good Food Guide’s Top 60 list of the UK’s best restaurants. In The Good Food Guide’s 2011 edition, Blumenthal’s three Michelin-starred Fat Duck restaurant in Bray received a 10/10 rating for the third year in a row, making it the top dining spot in the country. Filling the final three places in the top five were Raymond Blanc’s Le Manoir aux Quat’Saisons in Oxfordshire, Simon Rogan’s L’Enclume in Cumbria, and Nathan Outlaw’s eponymous restaurant in Cornwall. Elizabeth Carter, Consultant Editor, The Good Food Guide, said: “Heston Blumenthal and Gordon Ramsay continue to delight us with their stuff of genius, world class style and truly memorable dining experiences. But we’ve seen significant changes in the UK restaurant scene over the last year. The 2011 edition of The Good Food Guide goes on sale on 8 September 2010. In celebration of the 60th anniversary of the guide, the Top 50 listing has this year been extended to include 60 restaurants. Restaurants offering DR member benefits are highlighted.